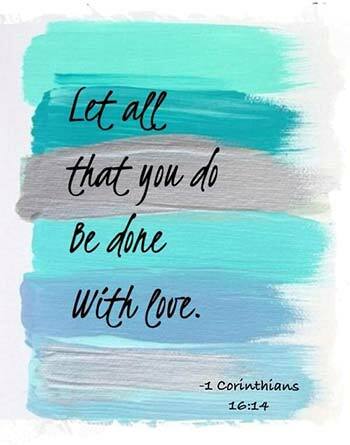 But we must reconcile the two verses above; for we must love others as a primary commandment of God; and yet, Matthew 10:37 (and other verses, e.g. Matthew 8:21-22) clearly leads us to prioritize our love Christ over our love for our families. But the reconciliation of these two passages is not difficult, if we are simply honest about what they say. “Love God with your whole heart” is the first commandment; and it takes precedence over the “second” commandment. The love for others that God commands us to embrace is not the natural love we feel towards family and close friends. Even a godless person might love his children or parents enormously, perhaps enough to sacrifice his life for them. And so might we love our parents or children more than ourselves. Christ certainly does not mean to diminish our love of family and friends. Jesus Himself loved Lazarus with a human love, as a friend, and wept when he heard Lazarus had died. But we cannot use our family obligations to shirk a clear duty towards God. Love of God comes first. We must trust God with our whole heart. I have heard numerous Christian authorities (example) say that the father of the man, in Matthew 8:21-22, was actually not dead and the man who wanted to stay behind simply wanted to live at home until his father died. But nothing in the Bible says this or even hints at it. This is “easy way out” Christianity. People make things up to avoid teachings in the Bible they dislike; and this is but one example of many. We don’t want to take this too far. Even if we are scrupulously honest about the Bible, there will times when we will forgo a “church” obligation to meet a “family” obligation. There is some balancing to be done in everyone’s life. Nobody enters a monastery if it means their family will starve to death. Lord, let me always love you with my whole heart, and my neighbor as myself. Amen.